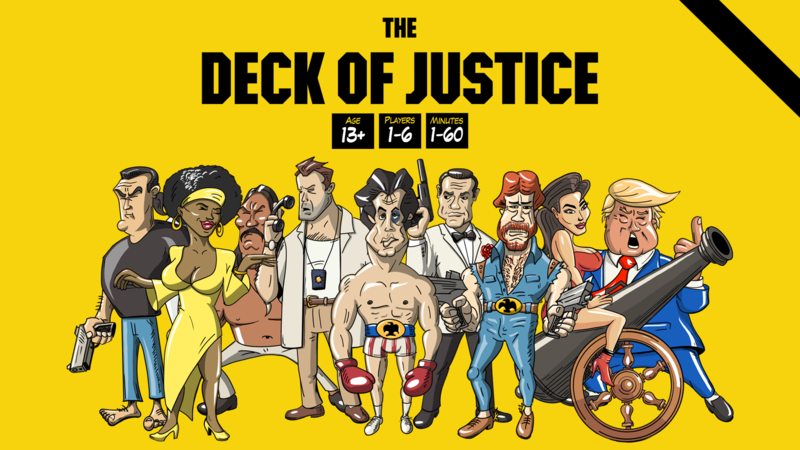 The Deck of Justice is a ridiculously frantic, yet highly tactical, hand-drawn card game for 1-6 players. Players take turns striking one another (with fully loaded heroes, armored vehicles and bulging biceps) in a series of quick cowboy standoffs until there is only one survivor. A print and play demo version is available here to download with a sample of the core deck cards for 2-3 players. 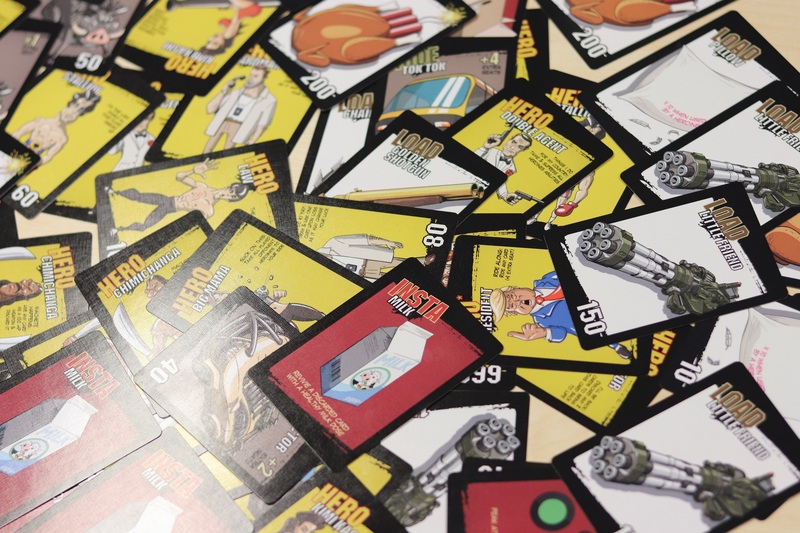 The game had different versions (including a NSFW edition) and supports different modes of play like last deck standing, grudge mode, team based deck matches and much more. You can view and download the full game guide here. This guide is meant for the full game, but the demo supports the last deck standing and grudge modes for 2-3 players. We wanted to capture the 80s theme in a cartoonish hand drawn graphics as a homage to our favorite action heroes. So we pretended to be in the 80s and imagined that we are a card game production company (B grade exploitation one), and designed this game accordingly. Hope you enjoy the game and how in parodies all the things we love (and hate) about the 80s (sometimes 90s and beyond).